What will happen when I call your office? Our friendly administration staff will answer any questions you may have. 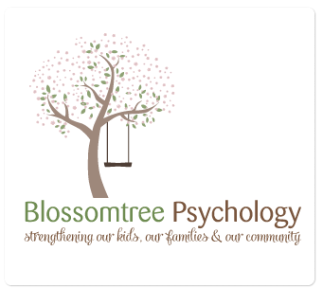 We often have a short waiting list at Blossomtree Psychology, which means you may not always get an immediate appointment. Our administration staff will get all the necessary details about you and/or your child so that the Directors of the practice can find the best match for you with one of the four psychologists at our practice. You can request a Mental Health Plan for Individual Sessions from your General Practitioner. Depending upon your circumstances, you may be eligible for rebates from Medicare for as many as 10 sessions per calendar year. Rebates can be processed onsite at our practice. We don’t routinely offer Bulk Billed sessions and that means there is a small out of pocket cost for your sessions. Essentially you will arrive and pay the fee in full and then our friendly administrative assistant will process the Medicare Rebate for you, which can go straight back onto a savings or cheque account. Medicare Rebates normally go back into your account that evening. We offer concession fees if you have a Health Care Card, Pension or are a student independently supporting yourself. Clients who have private health insurance with ancillary services may also be eligible for rebates. To find out more about our costs see the Fee page. Where possible we try and see parents separate to the children for the first appointment to obtain a full developmental and family history. This means your child either won’t be seen at the initial appointment or will only be seen briefly towards the end. The initial appointment allows our psychologists to gather the necessary background information and your reasons for seeking assistance. If you bring your child to the first appointment you may wish to have another adult accompany them for supervision in our waiting room. Our administrative assistant will explain all of this to you as the initial appointment is booked and you will also receive a welcome pack including all the necessary forms for you to fill out and a background questionnaire. What happens in sessions after the first appointment? It is very important to us that you are available at our practice for each session your child has, unless we advise otherwise. While we might be working with your child, we rarely do this in isolation of you as a parent. Sessions after the initial appointment will generally involve the psychologist getting a brief update from you, then spending time with your child, after which you will re-join the session at the end for an overview of the session and what you can all do as a family between then and the next appointment. You and your psychologist will review your progress on an ongoing basis. Changes can be made to the treatment to ensure you achieve the changes you want to.